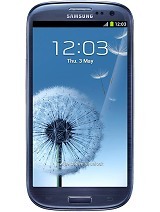 The Samsung Galaxy S III is a massive leap forward compared to any of its predecessors. It has been developed exactly the way a top shelf Android handset should be. The formula is simple, yet elusive to many. It includes getting the best hardware available and implementing it into a sleek and manageable device. The smartphone is one of the fastest around, packs a gorgeous screen, and a fantastic camera. Connectivity will simply overwhelm you with options, and so will all the software tricks the Galaxy S III has up its sleeves, including gestures and voice controls. Battery life is up to snuff too - after all, 2100mAh was considered extended battery category just last year. The design of the handset is an acquired taste but, like we told you earlier, once you hold the smartphone in hand it starts to grow on you. A camera button on the other hand would have been a welcome addition - especially given the superb snapper which the Galaxy S III packs. All US versions of the Samsung Galaxy S III are priced extremely competitively at $199.99 for a handset with 16GB of built-in memory. This price range puts the device in the thick of the smartphone competition and, honestly, it is a welcome fact for Samsung's offering. Just in case, here are a few other options which you might consider spending your money on. We must begin with the HTC Evo 4G LTE. The Sprint exclusive smartphone matches Samsung's spec sheet and comes in a metal suit. It packs a dedicated camera button as well. HTC One X for AT&T also comes close to the Galaxy S III. The unibody sporting handset looks arguably better than its Korean rival, but comes with the paltry, non-expandable 16GB of built-in memory. In this category of Android smartphones, such a thing is unforgivable in our book. In case you don't want to have even the slightest amount of carrier branding on your device, consider the original I9300 unlocked and contract-free. The quad-core beast will run on AT&T's 3G network with no hassle. Just keep in mind that it will cost you well above $600 to grab one. 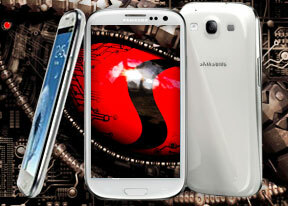 You can find plenty of well-equipped Android smartphones for less money than the Samsung Galaxy S III. Keep in mind however, that they will be featuring last year's top-of-the-line hardware. So, is the Samsung Galaxy S III the ultimate smartphone these days? Honestly, we've learned over the years that such a thing does not exist. Samsung's latest creation however, is the closest that we've seen so far in 2012. It is therefore one of the easiest smartphones to recommend. And we don't mean only in the Android realm.